The official Valentine’s day is just recently over, however that doesn’t stop love from spreading in the air still !! It’s the month of February where all the exciting stuffs are happening, in particularly for me and I certainly hope it does for everyone out there too !! So am I very honored and pleased to be working with Corningware once more on this upcoming feature which I find it really meaningful and inspiring. And that’s the COOK WITH LOVE COOKING COMPETITION which they are going to hold on the 25th March 2017 !! 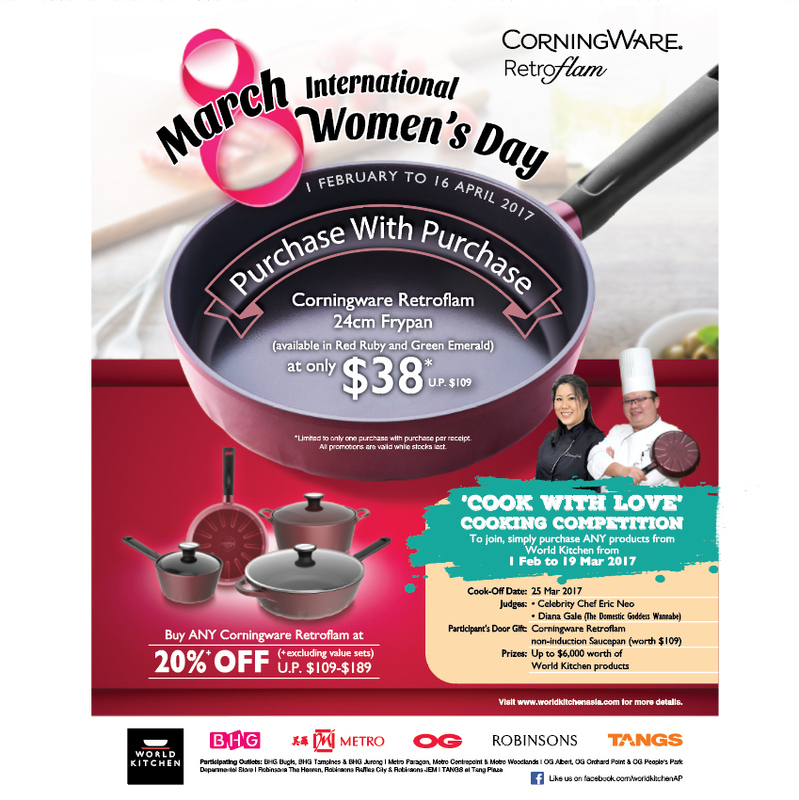 In conjunction with International Women’s Day, this competition aspires everyone to cook up a storm with your lovey dovey partner ! And the prizes are so attractive that I am sure you will find it real tempting to give it a shot. The best of it all, even if you do not get to win anything at all, the attractiveness of the participation gift itself is already beyond any consolation ~ All participants will get to receive a goodie bag that’s worth more than S$150 from World Kitchen and its participating food partners. I guess the gist of such competitions does not necessary warrant a success only if prizes are won. 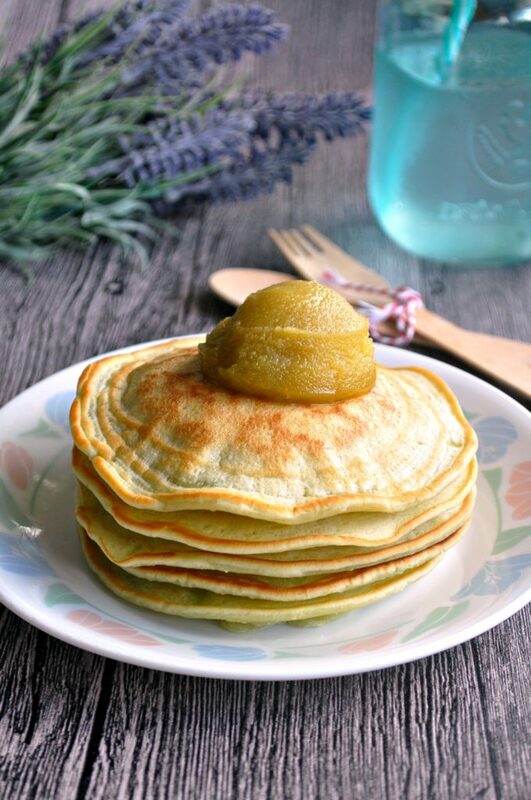 It’s after all the compatibility efforts and bonding teamwork between the partner and you to jointly create a dish that’s blissfully yours and presenting it wholesomely to the audience. And I strongly believe for the other half whom does not cook usually, you would definitely appreciate your partners more whenever a home cooked dish is presented before your eyes the next time. Learning how to appreciate a home cooked dish that’s made out of love, effort and sweat is something that’s very commendable. At times, I am also secretly hoping that my partner will give me appreciation for that too, if that’s any !! LOL. And here’s how you can participate in this aspiring motion – Simply purchase any item from World Kitchen brands, be it Corelle, Corningware, Pyrex, Snapware or Visions from participating stores and submit the registration with receipt to participate. Registration forms can be downloaded from the website here and they are to be submitted by 19 March 2017. So, be fast !! To commensurate the event further, you get to purchase a Corningware Retroflam at 20% off and bring home a Coringware Retroflam FryPan (non-induction that’s originally worth S$109) at only S$38 ! Yes, you heard it right, that’s like almost 1/3 of the original price only. This promotion is available islandwide at the following stores and is available from now all the way till 16 April 2017. BHG Bugis, BHG Tampines & BHG Jurong I Metro Paragon, Metro Centrepoint & Metro Woodlands I OG Albert, OG Orchard Point, OG People’s Park I Robinsons The Heeren, Robinsons Raffles City, Robinsons JEM I TANGS at Tangs Plaza. And re-capping some of the past recipes that I’ve done using the Corningware Retroflam to perhaps stir up your cooking mojo. 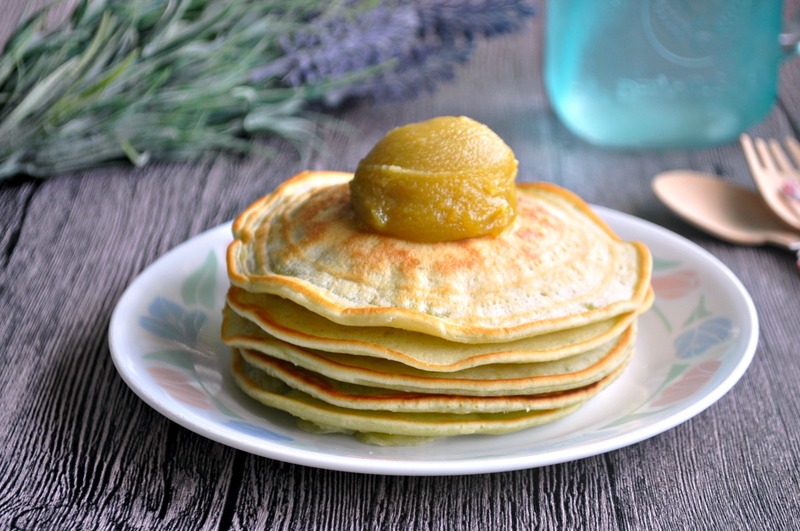 And the most recent one now – Pandan Pancakes !! I must say, the pan is literally as sparkling clean as it was before, even after using it. 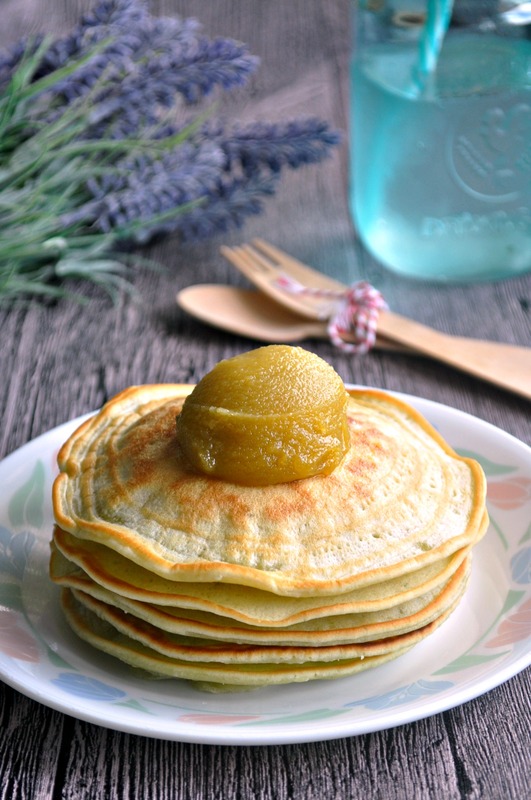 Because I had not used a single drop of oil coating on the pan and the pancakes simply slipped off without any hassles. 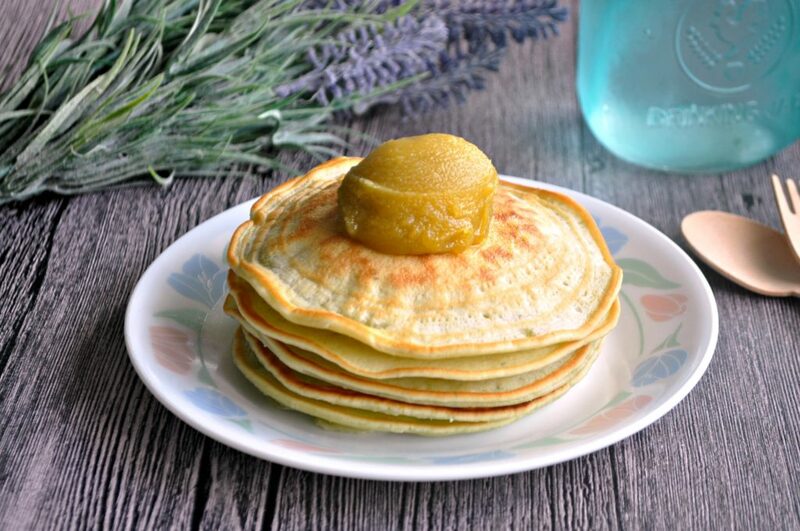 Drench your fragrant Pandan Pancakes with a dollop of Kaya or Coconut Jam and they are all good to go. 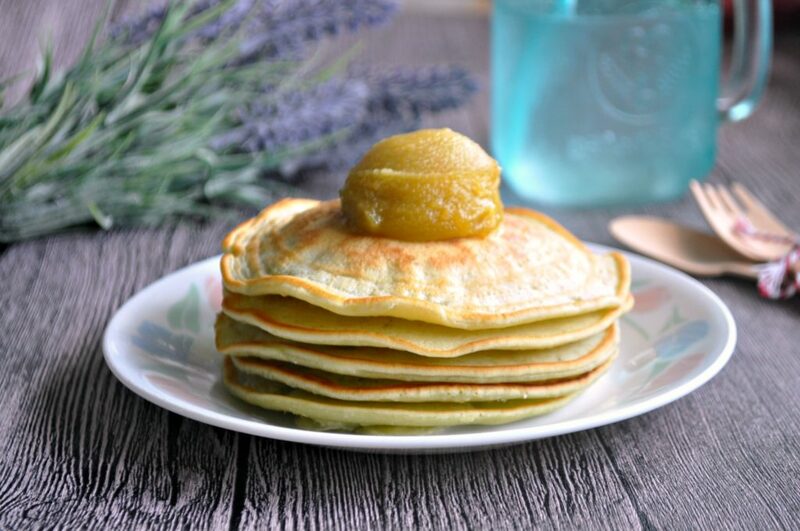 They are perfect for breakfast and tea break on any days! Blend the pandan leaves together with the coconut milk and sieve the mixture through a strainer to get a smooth texture. Set aside. Combine the flour, baking powder, soda and salt in a mixing bowl and sieve them well. Set aside. Combine the egg with the coconut oil, essence (if using) and sugar. Beat the mixture using a hand whisk till all the sugar has melted. Add in the coconut milk mixture from Step 1 and mix well. Fold in the flour from Step 2 and mix till a smooth batter is formed. Sieve the batter again if necessary. It should form into circles and disappear as the batter is allowed to flow down. Heat up a non stick frying pan and add a full ladle of batter and allow it to flow down slowly till a circle is formed. Cover the pan for approximately 1 minute. Remove the cover and allow the pancake to be cooked further till air bubbles are formed..
Flip over for another 5 seconds before removing the pan from flame. 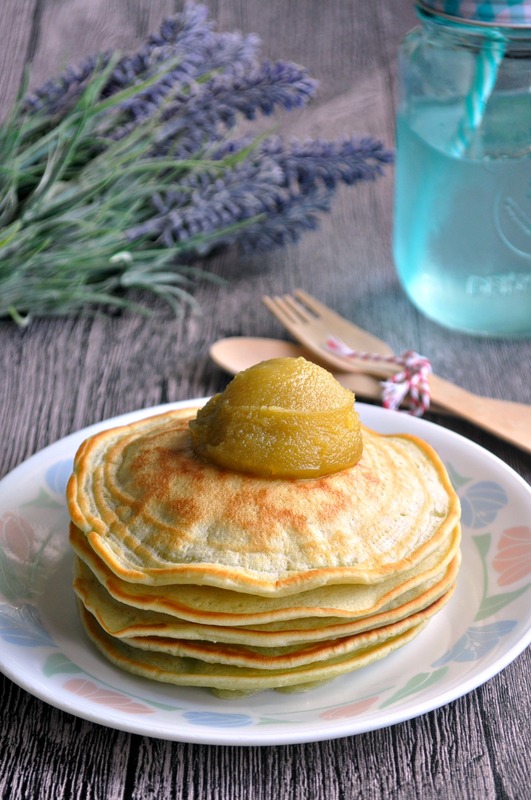 Serve the pandan pancakes hot with dollop of kaya (coconut jam), maple syrup or any as desired.